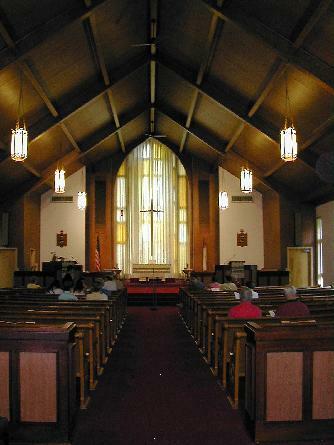 The Dreisbach Church is located in Buffalo Township, Union County, Pa., not far from the borough of Lewisburg. 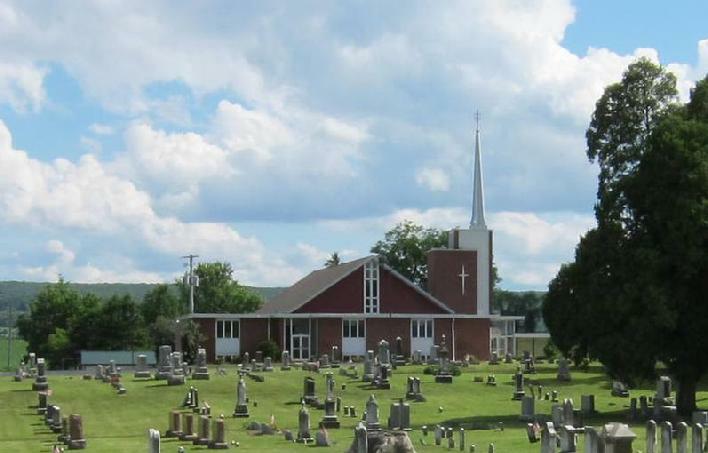 It is built on ground which forms part of a tract of land comprising seven and one-half acres donated by the pioneer Martin Dreisbach in 1788 to the union Lutheran and Reformed church organized in that locality on the Pennsylvania frontier. Here was erected in 1788 a log church. 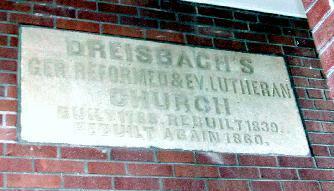 Martin Dreisbach, the donor of the ground, was an elder in the Reformed congregation, which used this original house of worship, and Jacob and John Dreisbach were numbered among its members. In 1839 the log church was taken down and the present brick structure was erected. It is a notable landmark in the Buffalo Valley. In the old churchyard adjacent to this historic building lie buried many of the Dreisbachs, including the original Martin Dreisbach, born in 1717, died in 1799; his son Martin, 2nd, (1764-1831), who lived and died near the church, and his grandson, Martin, 3rd (1800-1880), the father of William Dreisbach, who was born in 1834 and died in Philadelphia 1n November, 1913, and was buried in the Lewisburg cemetery not far from the church which through the generosity and forethought of his ancestor has become a perpetual memory to the Dreisbach family. Truly here does Martin Dreisbach, pioneer, planter, patriot, churchman, though dead, yet speak in the solemnity of the sanctuary and the silence of this peaceful God's acre.